The single sided belt grinding and polishing machine model FAPI-SMB is the most demanded hand contact grinding machine on the market, driven by V-belts. The universal belt grinding and polishing machine with motor outputs from 1.5 to 4.0 kW can be manufactured by us either for belt grinding or for polishing. Its stable, low-vibration design guarantees a long service life and precise work without chatter marks. 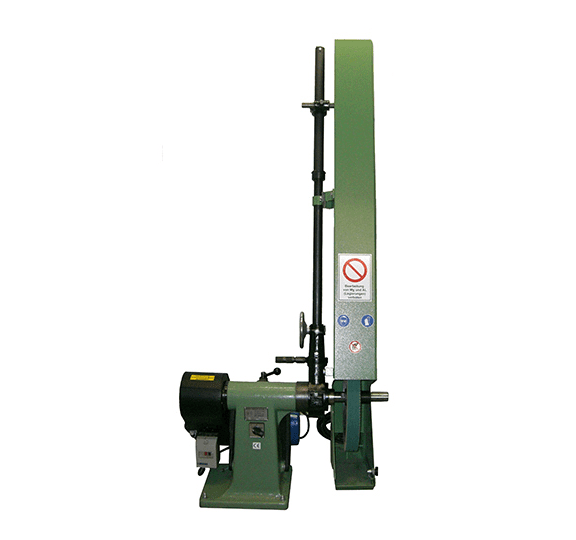 The belt grinding and polishing machine model FAPI-SMB is a compact machine with one-sided design. The speed, which can be controlled separately via a three-stage V-belt drive, offers high flexibility and a wide range of applications. Changes of speed are possible at extra charge!